The team from LNBP at Braunston Community Boating will once again be present at this year’s Crick Boat Show & Waterways Festival in May. Held at the impressive setting of Crick Marina in Northamptonshire over the Whitsun Bank Holiday Weekend of Saturday 27th to Monday 29th May, once again we are proud to be the Show’s official Charity Partner for what promises to be another great busy weekend. Showcasing 300 exhibitors from across the canal world, the annual event, which is organised by Waterways World in partnership with the Canal & River Trust and Crick Marina, offers a great day out by the water. And there is opportunity to take a boat trip with us! Visitors to Crick can enjoy a boat trip along the Grand Union Canal aboard canal boats run by our volunteer team of skippers. The half-hour trips are free (but we welcome donations!) and run every 10 minutes from 10.10am each day of the show. And here is a useful tip – book early as you come into the show as these trips get booked out very quickly each day! Our team will be present throughout the three day duration of the Crick Boat Show. In addition to running the trip boats, we will have one of our boats Guinevere on show for visitors to look around and see the boat and its facilities for themselves, and find out what we do and can offer community groups and organisations, and schools. 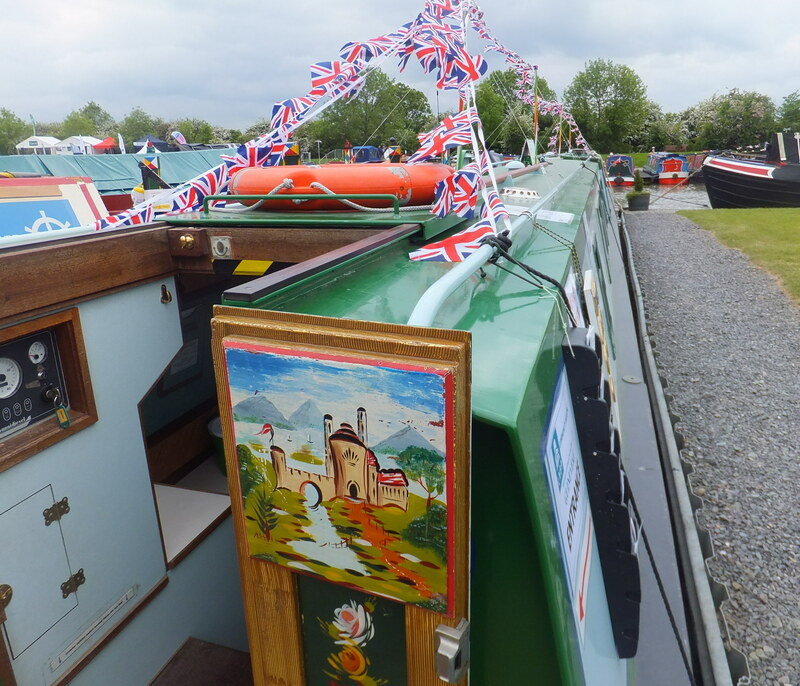 Crick is Britain’s biggest inland waterways festival, showcasing the very best of the canal world. So, whether you are a boat owner or just a dreamer, let your imagination roam free with dozens of new boats to look round, all the latest products, gadgets and space-saving solutions to admire, and outdoor clothing, jewellery, hats and hand bags to revitalize your wardrobe. There is chance to listen to live music as live bands will be performing throughout the Show in the Wheatsheaf Bar Marquee, with the ‘T-Rextasy’ tribute band headlining on the Saturday evening, and the ‘Fleetwood Bac’ Tribute Show and ‘Murphy’s Marbles’ on Sunday evening. Try artisan food in the show’s Food & Craft Marquee which will host a wide selection of independent food specialists, offering tasty samples, great gift ideas and live demonstrations of culinary delights. Enjoy some waterway-themed children’s activities as children aged 16 and under can visit the show for free where they will find a variety of special activities, including a treasure hunt, ‘build a canal’ challenge, and Roses & Castles painting in the Canal & River Trust Marquee. Step back in time on a historic boat for as well as dozens of new boats to look around, a number of historic boats will also be on show, offering visitors the chance to find out how working boat families lived in such a tiny cabin, and the journeys they made to make their living. Crick Boat Show will be open from 10.00am till 6.00pm every day except Monday 29 May, when it closes at 5.00pm. Evening entertainment runs from 7.30pm to 11.30pm. Ticket prices start at £12 per adult if booked in advance, £15 on the day. All children aged 16 and under go free. Senior Citizens and concessions are £10.80 in advance, £13.50 on the day.